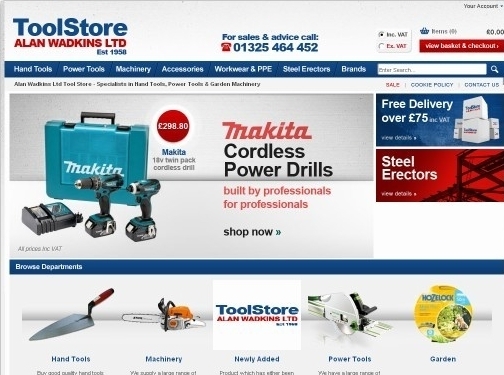 Specialising in professional quality tools suitable for many different types of tradesmen, Alan Wadkins Toolstore boast premier ranges from brands such as: Makita, Festool, Milwaukee and Stihl. UK (Darlington) based company - established over 50 years ago - providing tradesmen tools for sale. Website includes e-commerce facilities, delivery and returns information, terms and conditions, FAQs, full company contact details including company registration and VAT numbers.